Results: 1 to 10 of a total of 27 results. Does georgelindsay belong in this group? Does nerdification belong in this group? Does edub55411 belong in this group? Does dougathan belong in this group? Does jimonebadapple belong in this group? ...........poor george............................ yyyyyeeeeeaaaaaaa,.........my family does some reeeaaaaly..strainge..things. Does 117jeswil belong in this group? for the rest of us aluminum pole!! Love Festivals I went last year to Evolvefest and it was such a wonderful experience. Would love to meet someone who enjoys these festivals. Does saaths belong in this group? 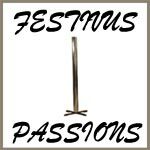 Festivus for the rest of us A holiday to make of what our mood desires.. Does gates1972 belong in this group? Does bpinback belong in this group?